It certainly does raise more questions about the NHBC’s independence and credibility. Many new homebuyers have been openly questioning the independence of the NHBC for years. The NHBC’s rebate scheme hands more money back to the larger housebuilders, with payments of up to £2million a year, for those registering the most homes with the NHBC. This tie-in and lack of independent transparency cannot be helpful to either the industry, or those buying new homes. It is yet another example of a wave of scandals currently being exposed in this broken industry. There have been a raft of complaints in the national press against several housebuilders, most notably Bovis, who were exposed last month as having tried to ‘bribe’ their buyers to legally complete on unfinished homes. This exposes a general lack of protection and an absence of any mechanism where buyers can be properly compensated, other than taking civil action in the courts. The NHBC new home warranty is a form of insurance policy that is supposed to cover the cost of fixing faults in new homes due to non-adherence of warranty standards or building regulations within the first 10 years. The NHBC inspect homes at key stages, last year reported that around 98.5% of key stage warranty inspections were carried out, a total of 798,000 inspections, finding 357,000 items that required builder rectification. This is the first time it has been revealed that the NHBC has and is paying millions to plc house builders in what it refers to as “premium refund” payments in its financial accounts. However, it is only mentioned in the notes to the accounts (page 103) and the amount paid out has not been disclosed. A letter seen by The Guardian from the NHBC to a housebuilder states part of the premium paid 15 years ago is eligible for a refund. It explains how the payment is calculated, being based on the number of homes registered by the housebuilder 15 years ago, the cost of claims paid on those homes and any investment return earned by the NHBC on the premiums paid. Fifteen years, allowed time for the homes to be built and for the ten-year warranty liability to expire. In addition, the NHBC also decides the size of the total pot of money that it shares with housebuilders. However, former NHBC chief executive Imtiaz Farookhi said in the NHBC Annual Review 2003: “Our operating result for the year shows a pre-tax surplus of £6.2 million, an increase of £1.0 million on last year’s £5.2 million surplus. As NHBC is a non-profit distributing company, all post-tax surplus is re-invested to further raise standards in the new house-building industry and to continue to provide consumer protection for new homebuyers. But the ‘premium refund’ system was established in the 1990s! The Guardian said that the NHBC defended the payments but refused to confirm how much it had paid out to housebuilders or comment on the extra payments to the two housebuilders. The NHBC told The Times it paid ‘only’ £4.5million in ‘premium refunds’ last year, compared to the £90 million cost of claims to rectify defective new homes under its warranty. Instead of handing a “premium refund” of £4,500,000 to 13 plc housebuilders already making average pre tax profits of 20%, which totalled £3,992,000,000 last year, surely the NHBC should be using these cash surpluses which they claim are “re-invested in the improvement and development of our products and services.” and “raise the standards of new homes”? Give a £10,000 prize (tax free) to each of the 417 site managers winning a NHBC Pride in the Job Quality Award. This might encourage the other 14,600 site managers to be more quality focused! 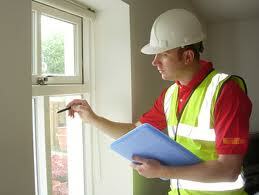 Increase the number of NHBC inspectors. At £35,000 a year the £4.5m would pay for another 129 inspectors, meaning they could make 257,240 additional inspections or spend 35% more time on sites, inspecting and more importantly, re-inspecting! Increase the salary paid to its 400 inspectors by £10,000, to attract the best professionals from within the industry, rather than the cheapest. Fund 450 trade apprentices, paying each £10,000 a year NHBC ‘scholarships’, to help address the “skills shortage”. Two of the thirteen directors that make up the NHBC governing board have close ties to the housebuilding industry. Stewart Baseley is executive chairman of the Home Builders Federation (HBF), the industry’s trade body which says it is: “the voice of the home building industry in England and Wales. Representing member interests on a national and regional level.” The other is Stephen Stone, chief executive of listed housebuilder Crest Nicholson. Stone replaced Greg Fitzgerald who stepped down from the NHBC board last year, and is CEO of Galliford Try trading as housebuilder Linden Homes. The lack of independence and clear conflict of interest of these two NHBC non-executive board directors raises further concerns about the governance of NHBC and its impartiality. The HBF also has six of its representatives on the NHBC Council. “NHBC adopts the highest principles of UK governance and all our board members are chosen for the contribution and value they can add to NHBC’s purpose. There are clear procedures in place to record declarations of interest and manage potential conflicts. NHBC’s board comprises 13 members drawn from a diverse range of sectors including the financial services sector, public service and in some cases from the housing sector. “Those directors from the homebuilding industry are in the minority. Their presence is extremely valuable to the board as a whole as they bring current knowledge of the industry and of the issues it faces, which can help to shape and determine our business strategy. Because of that their insight and input is critical to our decision-making. MPs call for the government to introduce a fully independent new homes ombudsman to adjudicate fairly on all complaints about new homes. The Conservative MP for Plymouth Oliver Colvile, who chairs the All-Party Parliamentary Group on excellence in the Built Environment, said he had great concern about the independence of NHBC. He is calling for a fully independent new homes ombudsman to be set up by government and for homebuyers to have a mandatory right to inspect their new home before they legally complete the purchase. This entry was posted in New Homes and tagged house builders, new home warranty, new homes, NHBC, standards. Bookmark the permalink.